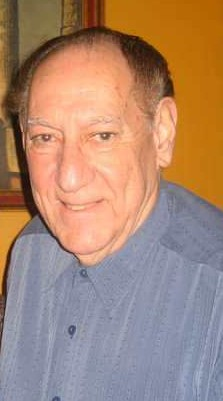 Obituary for Roberto J Sosin | Bronson & Guthlein Funeral Home, Inc.
Roberto Jose Sosin died peacefully at the age of 87 on August 30, 2018. He is survived by his loving wife of 68 years, Yolanda, his loving daughters and son-in-laws, Yolanda Villacampa and Jose Baptista, Miriam and Ramon Martelo, and Elizabeth and Alberto Rodrigues. He is also survived by his loving grandchildren and great-grandchildren, Laura, Christina, David, Michael, Alexia, Samuel, Evan, and Madeline. Roberto was born in Havana, Cuba on December 1, 1930. Roberto immigrated to the US in 1962 with his wife and two young daughters. Although his heart never left Cuba, he embraced the US and loved it for fulfilling the promise of a better future for his family. He was a hard worker and dedicated family man who was immensely proud of his children’s and grandchildren’s accomplishments. He was known to have the “gift of gab” and was also an amazing storyteller and poetic writer. He will forever be remembered and loved by his family and friends. Family and friends may be received on Tuesday September 4,2018 from 6pm-9pm at Bronson Funeral Home 152 N. Main Street Milltown,NJ. Funeral Service, Wednesday 10:30am at Bronson Funeral Home.